Filming has begun on the second series of the award-nominated BBC Three zombie drama, In The Flesh. Critically acclaimed creator Dominic Mitchell reignites the world of teenager Kieren Walker, a PDS (Partially Deceased Syndrome) sufferer who continues in his struggle to find acceptance. Over six-episodes, series two propels us back to the cauldron of Roarton where the living and the undead have reached a fragile peace, with Kieren desperately keeping his head down, squirrelling money into his ‘escape fund’. But in the wider world, fear is in the air. The radical Pro-Living Party, Victus, is gaining government seats with a resulting spate of PDS Terrorism linked to the Undead Liberation Army. With the arrival in the village of new and explosive characters from both Victus and the ULA, Kieren’s plans are thrown into disarray as both set their sights on him and he finds himself caught in the emotional crossfire. A quiet life is not an option. Returning to the series, Luke Newberry (Kieren Walker) leads the cast together with Emily Bevan (as upbeat friend to Kieren and fellow medicated zombie Amy Dyer), Harriet Cains (feisty sister, Jem Walker) and Stephen Thompson (aspirational Parish councilor Philip Wilson). Also returning are Kenneth Cranham (Vicar Oddie), Kevin Sutton (Gary), Steve Cooper (Steve Walker), Marie Critchley (Sue Walker), Sandra Hugget (Shirley Wilson), Gerard Thompson (Dean) and Gillian Waugh (Pearl Pinder). They are joined by new cast members, Wunmi Mosaku (Dancing On The Edge, I Am Slave), ﻿playing local MP Maxine Martin, and in a departure from his more familiar bad boy roles, Emmett J Scanlan (The Fall, Hollyoaks), ﻿who plays charismatic disciple of the Undead Prophet, Simon. Set in the fictional village of Roarton, In The Flesh started filming on Monday 7 October and is shot around the North West of England. Director, Jim O’Hanlon, says: "With its uniquely naturalistic take on the zombie genre, told as much from the point of view of the zombies (or PDS Sufferers) themselves, as that of the locals forced to live alongside them, In The Flesh is original, dramatic, funny, politically engaged and never less than 100% emotionally truthful. "It's rare to find a series that is so exciting, entertaining and humorous, and yet has so much to say about the world we live in today. The characters have genuine verve, wit, colour and depth and I can't wait to get started on bringing them to life." BBC Three Controller, Zai Bennett, says: "I am excited that BBC Three viewers will once again have the chance to immerse themselves in writer Dominic Mitchell's intricate world, which brings such realism to the scenario of medicated zombies being reintegrated into the community. The popularity of series one is testament to the strength of the cast, production team and conviction with which Dominic writes." Writer and In The Flesh creator, Dominic Mitchell, says: "Returning to Roarton village has been a real joy, revisiting old characters and inventing new ones, entangling their lives and their loves. 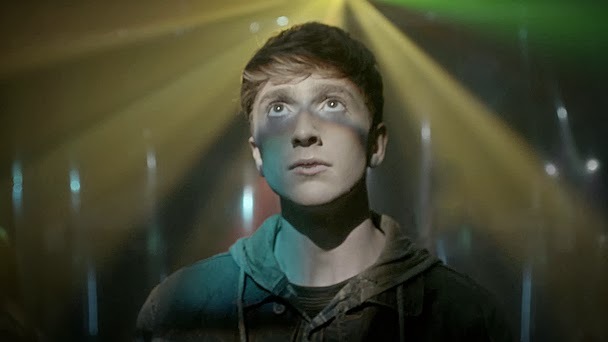 My hope is that In The Flesh series two will have something for everyone: with high-octane genre thrills running alongside emotional, hard-hitting domestic drama, with plenty of black humour to boot."